personal success and contribute responsibly and bravely to our diverse world. every month) and picks up @ BRMS at approx. 3:25 pm. The middle years are time for growth, challenge and discovery. At Broad Rock Middle School, we encourage and prepare students to participate fully, to take risks, to be self-advocates, and to create lasting memories and relationships with peers and staff. We are the FIRST Kingian Nonviolence School in Rhode Island and we are proud of all we have accomplished together. As you read through the pages of this site, you will learn about our wonderful students, our School, and get a feel for the vibrancy and strength of the Broad Rock School community. We expect high standards in all that we do at Broad Rock Middle School. We encourage our students to aim high in their studies, to work hard and to be sensitive to the rights and needs of others. I look forward to working with you and your children during the school year. Please do not hesitate to contact me at any time; our continued success is dependent on your feedback. 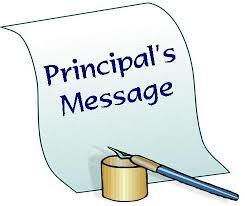 Please check back frequently for up-to-date PTO Information, or visit the PTO Page under the Parents tab above.